When Greenpeace kicked off the campaign to phase-out diesel engines last year, my brother Sam was one of the first ones to look concerned. He’d just bought a diesel car second-hand. They’re supposed to be more fuel-efficient than petrol and therefore pump out less CO2 so it had seemed like the greener choice. That was inherited wisdom once – but now we know how much more toxic fumes diesel engines put into our air, and how much harm that air pollution causes to our health. 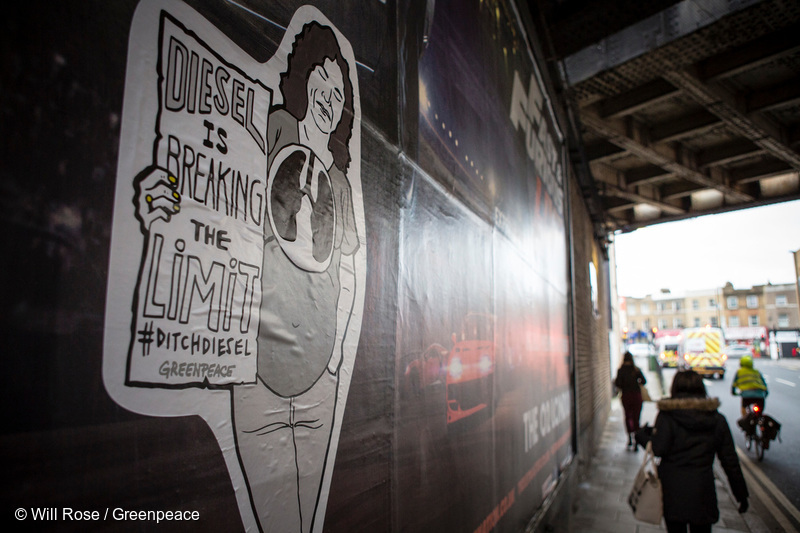 Diesel and petrol are like a rock and a hard place with air pollution on one side and climate change on the other. Drivers like my brother Sam aren’t to blame for these terrible options. He cycles to work when he can, but he works for the NHS and sometimes that means he has to drive. Car companies should never have promoted diesel over petrol in the first place, and what’s worse, they’ve now been found to cheat lab tests. We now know they have misled us about how much their cars pollute and that they watered down the very standards put in place supposedly to limit pollution. Car makers have lied and misled us for too long. Today we’re launching a campaign to call on the top ten car brands in the UK to immediately stop making diesel cars and commit to going 100% electric. 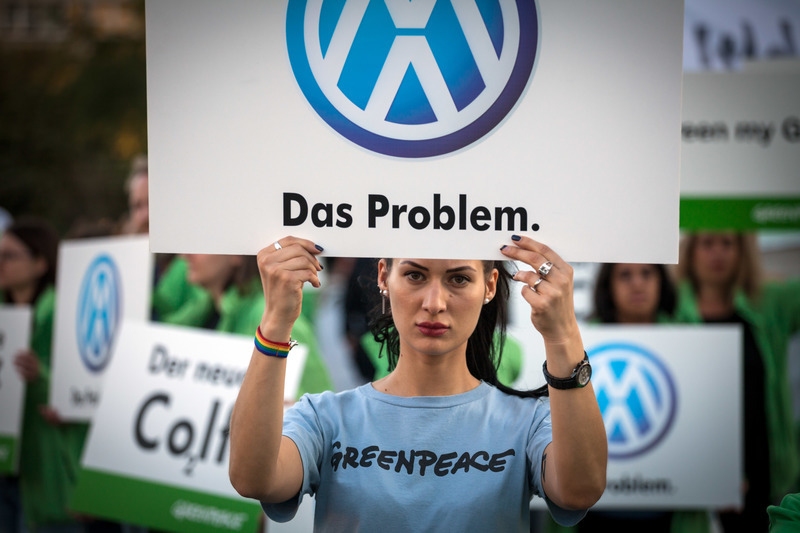 VW used ‘defeat devices’ to cheat the tests on how much toxic fumes their cars were spewing out, and now they are facing a class action from UK customers that is growing by 500 claimants per day. Renault is facing allegations that it used a range of techniques to cheat the tests for over 25 years, and many in the industry say cheating is endemic. 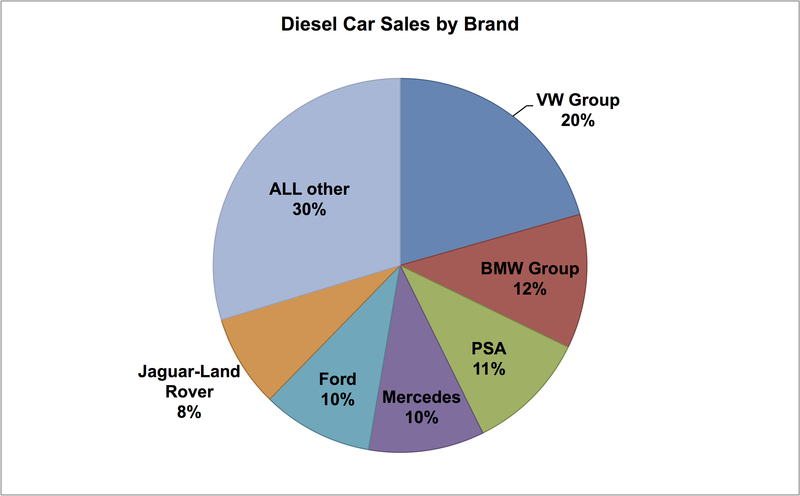 All the top ten car brands in the UK have models that pollute well over the standard, meaning two thirds of the diesel cars on our roads pollute more than they’re supposed to. So when someone like Sam goes to buy a diesel car it might say in the specs that the air pollution (Nitrogen Oxide, or NOx) is limited to a certain number of milligrams per kilometre, when in fact, these cars are polluting much more – up to 15 times as much. All the air pollution in the UK is attributable to 40,000 early deaths a year and is linked to all manner of lung and heart conditions and diseases. 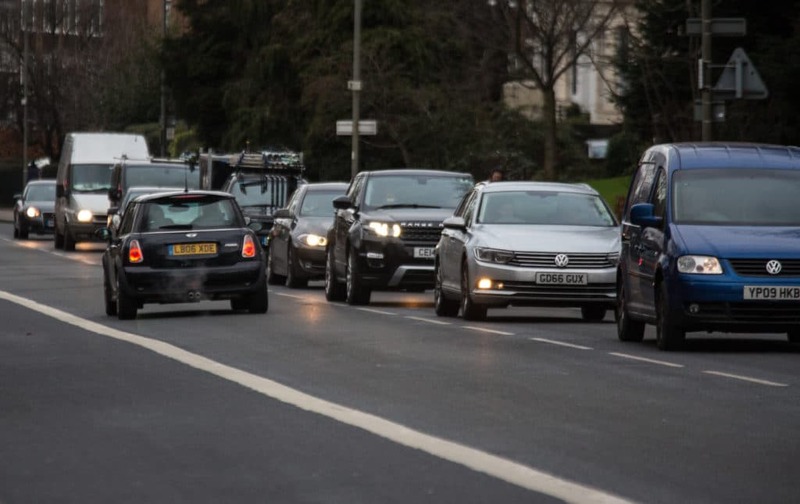 If we took diesel cars off our roads, we could cut air pollution from NOx by 40% – and that would make a real difference to the 8 out of 10 people in the UK who live in cities and towns. Car companies made this problem, and its finally time for them to come cleaner – and make our air cleaner too. Drivers have a hugely important role in this campaign, because as consumers the car manufacturers want our approval. And we’re all continuing to push the government to bring the car industry in line as well, because both government and industry are responsible for the problem and both must be made to act. We have to get diesel off our roads as fast as possible because it’s harming our health but of course that doesn’t mean switching back to petrol because both diesel and petrol contribute to climate change. There’s a better option: a mix of electric cars, better public transport and a more pleasant urban environment that’s suited to walking and cycling for shorter journeys. Most of the top ten car brands make at least one electric model in comparable cost and specs to similar sized cars, and as they become more popular the cost will come down. With renewably powered charging networks and sustainably produced batteries, we could transform transport and energy together to create a cleaner, greener future. Cities from Paris to Madrid are banning diesel because of its health impact and Liverpool is considering following suit. The car companies have gotten away with it for too long – and our healthy air is more important than their profits. Let’s call on the car industry to change and stop this problem at its source. Join the campaign today, sign the petition. How do car companies compare in driving us towards a cleaner greener future? Greenpeace is people like you. People who are passionate about protecting the Earth through positive action. Together, we are unstoppable.